Its always an honour when a friend asks you to take their wedding photos for them. There is nothing I love more than coming to Zimbabwe for such a special occasion. This was a highly emotional and chaotic yet somehow absolutely perfect wedding day . Thetford Game Reserve is just outside the town of Harare and an absolutely beautiful setting for a wedding. 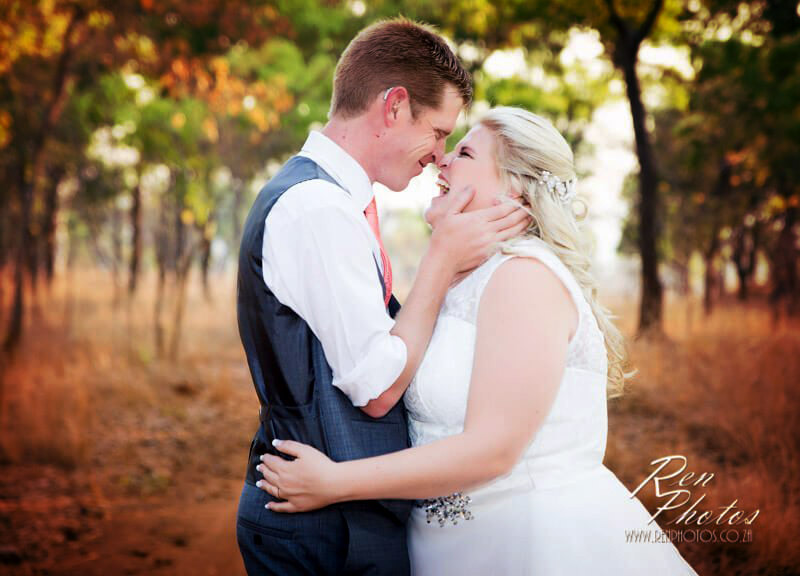 Sarah and Peter chose a location under sprawling Msasa trees for their ceremony . The reception outside overlaid with fairylights overlooking the dam. On the wedding day the dramatic build up gave way a day filled with laughter and joyful tears and there is never a couple that was more suited to each other as these two are. To Sarah and Peter – a huge congratulations . You make loving each other seem so effortless and I wish you the most amazing life together .